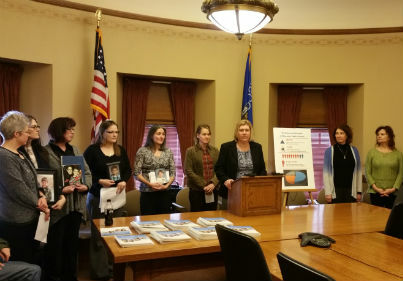 Disability Rights Wisconsin (DRW) provides policy makers with information about the rights of people with disabilities. DRW also provides people with disabilities with information about laws and policies that might affect them. Helps people with disabilities, their families, and the community better understand the rights of people with disabilities through trainings, written guides, and other materials. Engages with legislators and other policy makers about issues that impact the rights of people with disabilities. Disability Rights Wisconsin uses both individual and systems advocacy tools to meet its goals of ensuring the rights of people with disabilities. Disability Rights Wisconsin’s Public Policy Principles offer a framework for the agency’s work and public policy agenda. The principles also further define Disability Rights Wisconsin’s mission and values and communicate to the public the core identity of Disability Rights Wisconsin and its vision for the future. Please see our Take Action page on how you can advocate for policy reform or legislation.